The Chairman of the Council Speaker Jayasuriya informed the Council on the discussion he held with the National Police Commission (NPC) at the parliament. 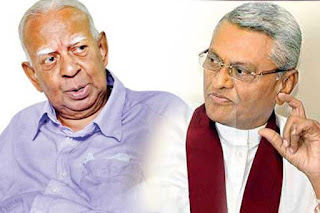 He stated that the NPC, along with its Chairperson K. W. Ekanayake Karaliyadda, is functioning properly with full membership. Also, the Office for the Recovery has commenced functioning properly with the full membership, chaired by Dhara Wijetilleke, informed the Speaker. He added that he spoke with them at a discussion held with its Chairperson and the members at the Parliament. The Constitutional Council is set to meet again before the end of April and it will focus on recommending names for the vacant positions of Chief Justice and Auditor General.